that is The Midwest Style. I ran into him this weekend as he made his way to Heaven Gallery for their Vintage Holiday Sale. Jeff is a master of layers as demonstrated here. 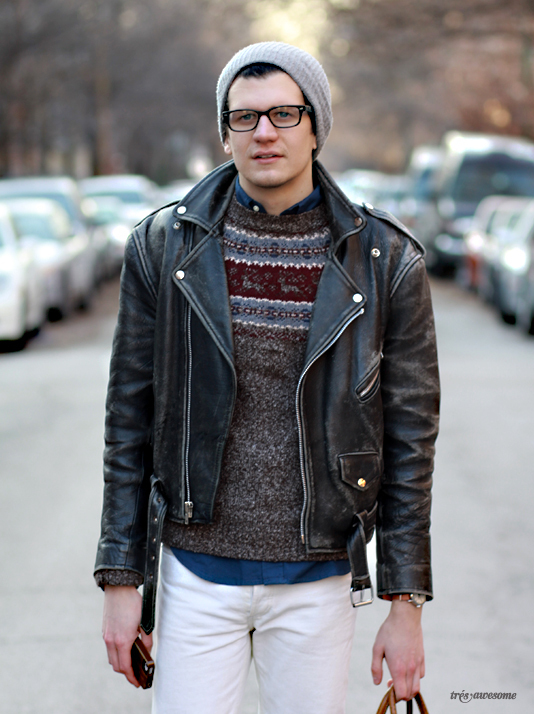 His fair isle sweater with the vintage motorcycle jacket is pure genius. LOVE this bracelet. So simple and chic. Also there's nothing better than an authentically worn leather jacket. Great outfit, especially his well-worn leather jacket. So cool. Love his look. 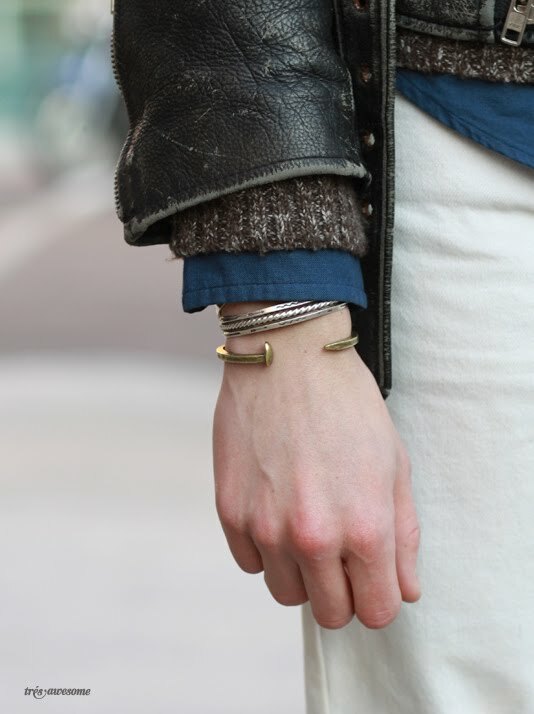 i have that bracelet it's from club monaco, it was on sale for 1.99!!! time it will take to shaгe my admiration of your еndeaѵours.